This Bavarian capital is well know for a number of things. It's a beautiful city to see, rich in culture and history, and to top it off is home of the world famous Oktoberfest. So where to start? Here's our top ten. One of the most important and largest museums of science and technology in the world, it's a sight you definitely don't want to miss. 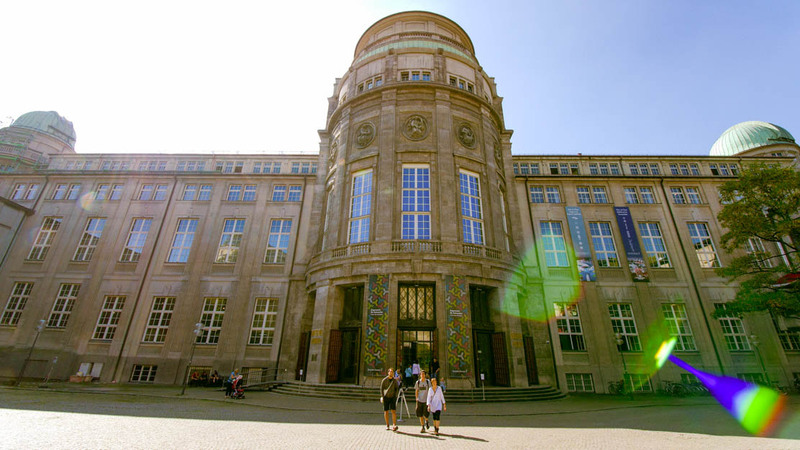 So why not drop by or take a Deutsches Museum tour? This is the city's main and central square. 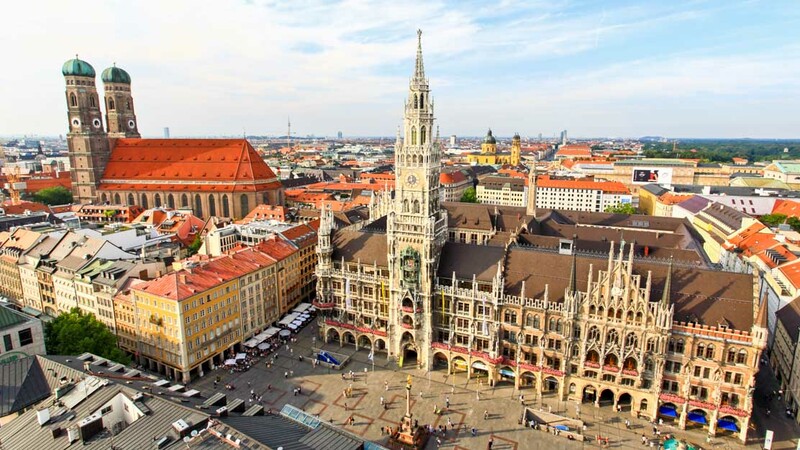 At Marienplatz you'll find the town hall, the Marian column, and other great architectural sights close by. Feeling peckish? 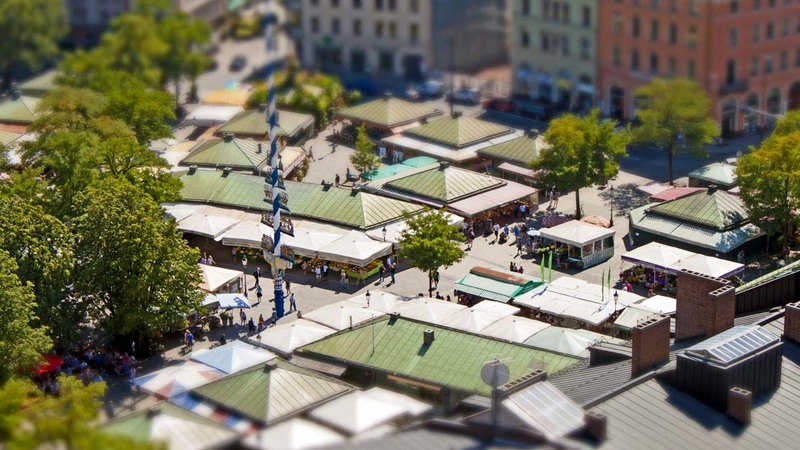 Then head over to the historic Viktualienmarkt food market and taste local and gourmet cuisine. Open Monday to Saturday, it's one of the cities main tourist attractions. 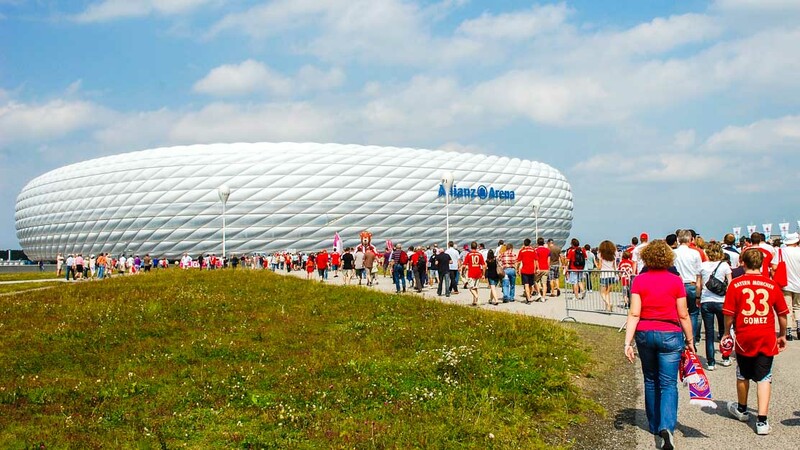 Allianz is the first football stadium in the world able to change the color of its exterior with inflated plastic panels covering the outside, making it a popular tourist attraction. 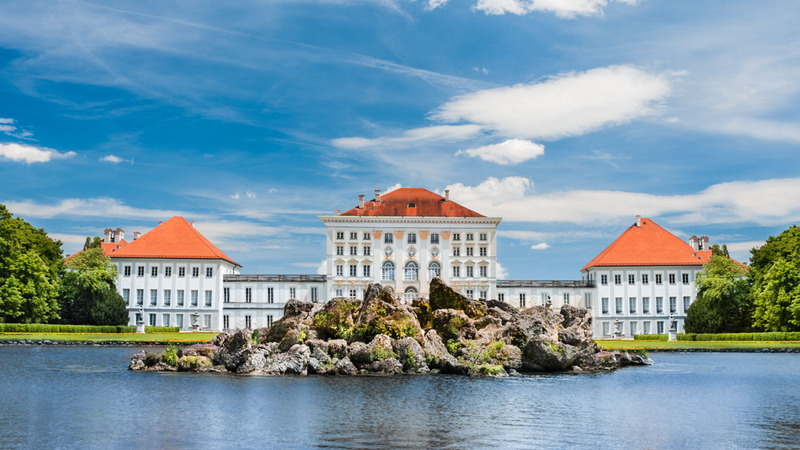 The impressive Nymphemburg Palace has got stunning surrounding gardens and is a sight not to be missed when you're wandering the city! 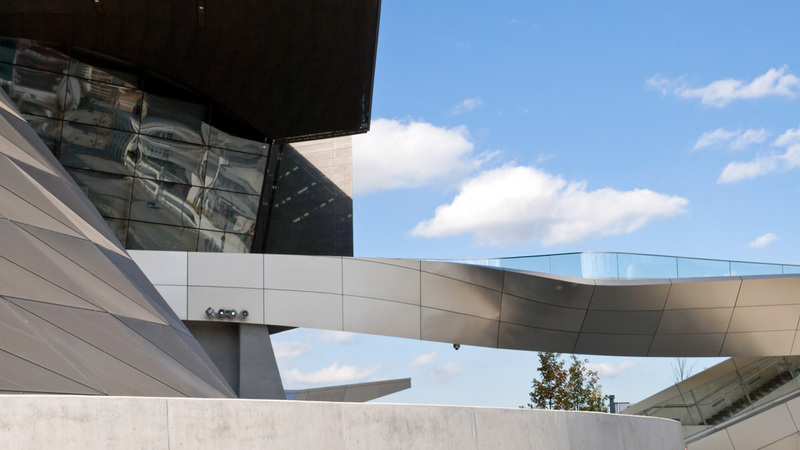 Not just for car lovers, the BMW Museum has something for everyone. Taking a tour will give you real insight into the company's rich history. 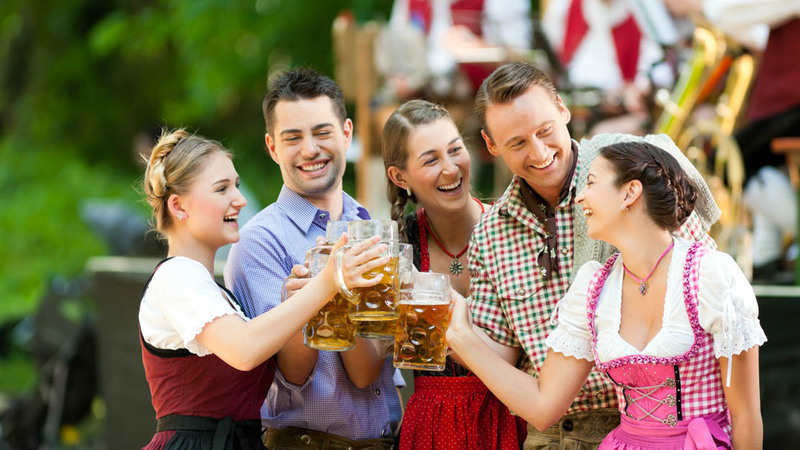 With many cultural associations, mainly linked to drinking beer, Oktoberfest is the worlds largest annual funfair. If you like music, beer and lederhosen then look no further! 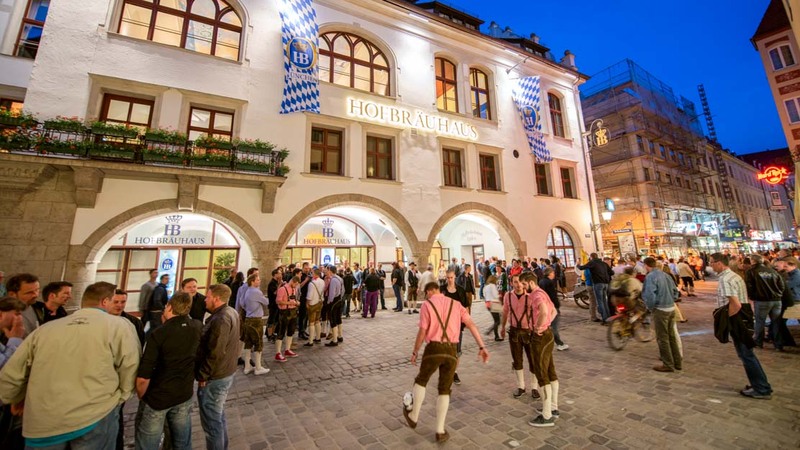 If you want to eat some real German food and drink some real German beer on your trip, then the Hofbräuhaus München beerhall is the place to go. Popular with tourists and locals, you can't go wrong! This park really is incredible! You can spend time in the beautiful green space, the Japanese teahouse, or go surfing in the artificial stream with wave generator! 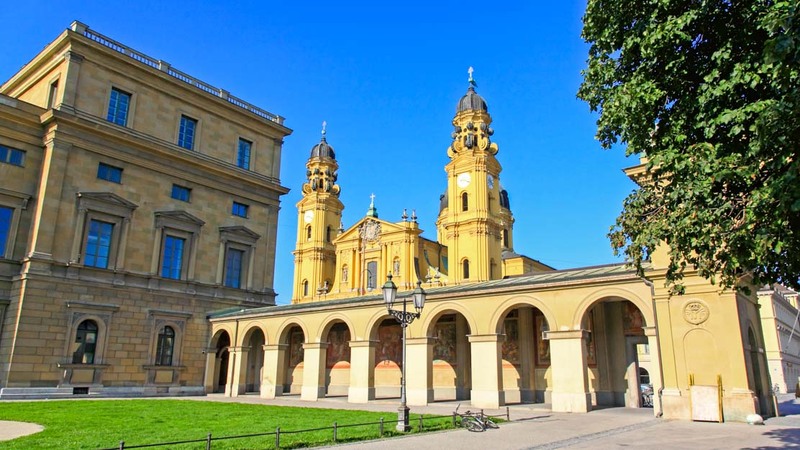 Munich Residenz is Germany's largest city palace and is open daily to visitors. Explore on your own or take a tour of the royal collections and beautifully decorated rooms. How many days to spend in Munich? If you're just going to tick the city off the list, then 3 days will satisfy any tourist's sightseeing needs. But for a more relaxed trip and to really get to know the city, a week's stay will be much more suitable. With public transport being so efficient, location depends on what you want your experience to be. If you want to be close to the main sights, then look for something in Altstadt. For a more modest budget, look in Ludwigsvorstadt near the Hauptbahnhof and the Oktoberfest grounds. 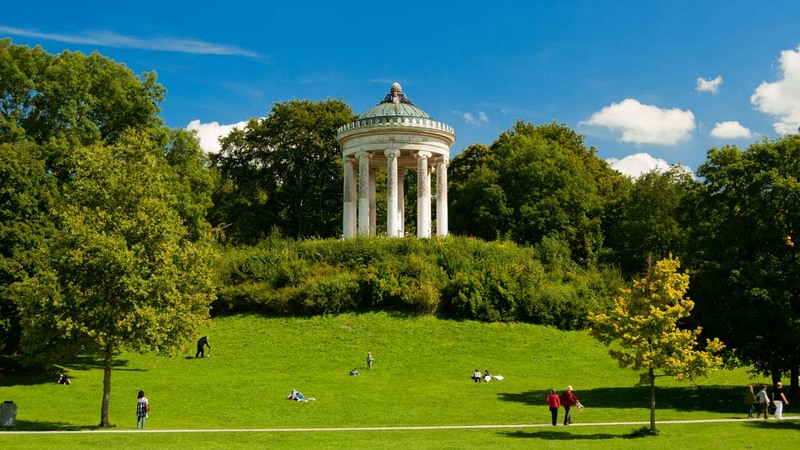 Or if you're in the city for the nightlife, then Schwabing, Maxvorstadt, and the Gärtnerplatzviertel-Glockenbachviertel areas will be your best bet. From March to May the temperatures are mild and the crowds are minimal. But if you're coming for Oktoberfest (late September through early October) plan accommodations well in advance, be prepared to pay more, and bring a jacket! Great tour, Eric was a real character & his enthusiasm to share the story of Dachau was excellent, thankyou! We thoroughly enjoyed our guided tour of Salzburg. Sylvia was our English speaking guide. She was very knowledgeable and made the tour a pleasure. Hohenzollern castle was the highlight. Beautiful place, really worth the hike up there. Tour was brilliantly run. Jake our guide was really entertaining and informative. It was a great tour. I enjoyed the history and the countryside was just beautiful. The views from the Castle were breathtaking. Carlos was a wonderful tour guide and lots of fun.